I enjoy participating in user research. It helps inform my decision making when I am designing for such a large audience. We have research labs in all of our offices where member visit and give feedback on different parts of the product. Most recently (seen right) I was a visual note-taker for LinkedIn's Breakfast club event. Here, researchers from companies over SF came to discuss topics on enterprise design. My task was to create a visual documentation of the 45 minute group discussion. I was given the task of redesigning the landing page for LinkedIn job posts. This is one of LinkedIn's gateway products for businesses who want to post jobs on the network. After conducting some quick research, I found that job posts are most commonly utilized by small businesses with less than 50 people. My approach was to create a small campaign that introduces the idea that posting a job takes time off your hands. I took on the task of designing a product marketing page for companies to distribute to their employees internally. The page was supposed to introduce a new LinkedIn referral product. I chose to appeal to the idea of working with people you know. Infographic PDFs using LinkedIn data to show yearly global recruiting trends. 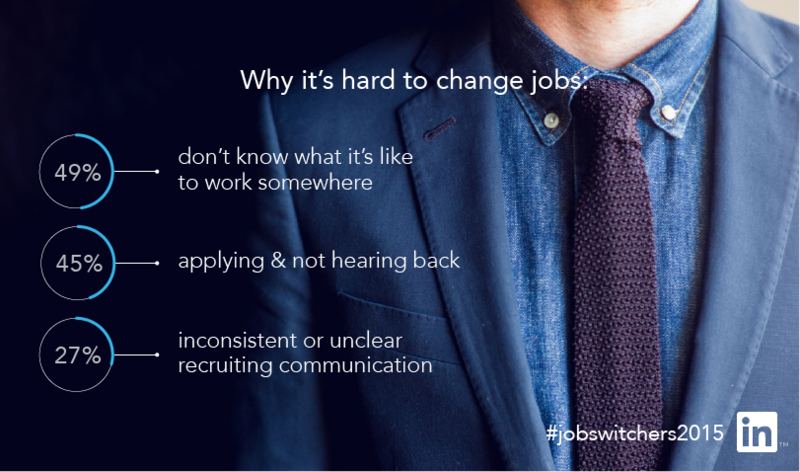 These were released on the LinkedIn Blog in two separate articles that covered both corporate and staffing recruiting trends. I worked with a marketer to create a series of mini infographics for LinkedIn's twitter account. The purpose of these were to give followers quick insights on why people choose to switch jobs. All information needed to be readable on a small scale and at a glance.